EFF leader Julius Malema called on Africans, coloureds and Indians to unite, and on black South Africans to stop xenophobia. Addressing a big crowd in Philippi on the Cape Flats, Malema said: "You are not foreigners in the Western Cape!" "Comrades, you must go and go and reclaim the streets of Western Cape, whether you are coloured, whether you are African. All of us we are one thing. We are black. We are the victims of apartheid. We must be united as black people." He said South Africa will never survive if black people are divided. "The reason why they divide us, the reason why they are threatened by unity of Africans, coloureds and Indians, is because they know when we are united we will not be dominated by white monopoly capital. "It is important to unite and see ourselves as victims of apartheid, because whether you are Indian, whether you are coloured and you might think you are closer to whites, whiteness doesn’t like you. It oppressed you before, it will forever oppress you. "So we, as victims of apartheid, Indians, coloured and black, we must treat each other as equal. "Without unity of purpose, we will never get our land back." 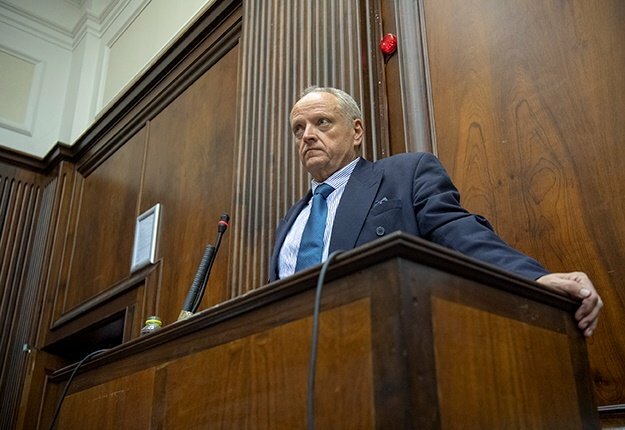 He also called for an end to xenophobic violence, saying he was ashamed to be a South African after recent events in KwaZulu-Natal. "Whether you're from South Africa, Zimbabwe, Nigeria, this is your home. This is Africa, this is South Africa. "Stop attacking our brothers from Africa, our sisters from Africa. "There is no Nigerian who have stolen an industry and hired Nigerians only. There is no Zimbabwean who has a farm in Knysna or Stellenbosch who hires Zimbabweans. It is your white people who hire Zimbabweans, pay them low, so that you can fight among yourselves as Africans." He said borders shouldn't be glorified, because it was imposed by white people who wanted to divide Africa. "Stop that nonsense, it stops today, we must unite as Africans!" 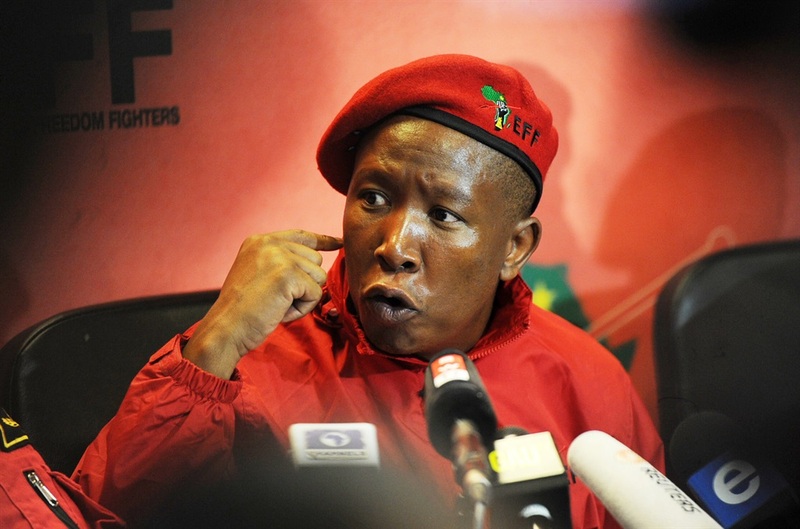 He blamed joblessness on whites who are refusing to invest in South Africa and promised that this will change after an EFF victory come May 8. "It is your time, African child, to shine. The time to feel pity of yourself as an African child must come to an end. On the 8th of May a new African child will be born. A child with possibilities." He also promised if the EFF is in government, the first thing they will do is put former president Jacob Zuma behind bars, followed by President Cyril Ramaphosa, Nomvula Mokonyane, Bathabile Dlamini, Malusi Gigaba and the like. "We are going to arrest all these criminals because they have caused you pain for 25 years. They will regret that they have played with black people. "Anyone who steals from black people, anyone who doesn't deliver services to black people is a criminal must be locked up in jail and must be locked up for a very long time." He also promised, among other things, truly fee education, bigger social grants, houses people can be proud of and a clinic in every ward. Jumping the gun a bit, he said: "We are a caring government, we are a government that loves black people, we are a government that is for black people. We are not a government that is going to perpetuate the pain and suffering of black people. We will end your pain because your pain is the pain of the EFF. "Black people have suffered for too long," he said. "We are the most hated nation! We want a government that loves black people. But in loving black people, it doesn’t mean we hate other people." He said it is like a marriage – you are in love with your wife, but that does not mean you dislike other people. He said the EFF is in a marriage with black people, so they can’t cheat on black people with white people.